As many of you know, I am a member of the Shelter Animal Reiki Association (SARA). The mission of the SARA is to improve the lives of animals living in shelters, to increase adoption of those animals and to bring relief to shelter staff who are suffering from burnout and compassion fatigue. Our goal is to boost adoption rates in shelters nationwide by reducing stress and supporting healing in shelter animals and their caretakers. Reiki, a Japanese meditative healing modality, is successfully used in hospitals, cancer centers, hospice programs and AIDS clinics worldwide and it is now used to bring healing to animals. SARA has taken on the daunting task of bringing Reiki to shelters and setting up shelter Reiki programs in order to not only bring Reiki to the animals but also teach Reiki to the volunteers and staff of these animal organizations. SARA currently has 22 participating shelters across the United States and in England who are dedicated to spreading the word of the success of Reiki with animals. The president and co-founder of SARA, Kathleen Prasad, will be an official speaker at this year’s American Holistic Veterinary Medical Association (AHVMA) conference in October. Kathleen will be presenting three 1-hour educational lectures about the benefits of Reiki for animals. We believe partnering with the veterinary community will play a key role in SARA’s success. As part of the conference agenda, the conference has an exhibit hall just outside the lecture classrooms, and between lectures, participant vets and vet techs will be walking through and learning more about the variety of holistic therapies and products represented. We intend to have a booth in the exhibit hall representing SARA. Volunteers manning the booth will offer sample Reiki treatments as well as educational information to help build a bridge of understanding between Reiki and the holistic veterinary community. Needless to say, this is a tremendous opportunity to get SARA’s message out. Of course, such an effort will require a substantial financial commitment. To that end, SARA is appealing to its friends, members and supporters to help raise the necessary funds. One of my Reiki students told me today that she’d been very upset by the recent loss of a dog whom she had cared for. This was not the usual emotional upheaval we all experience at the transition of a beloved animal, although there was certainly plenty of that. She was bothered by the fact that during the crisis of the dog’s last couple of days, she had forgotten about Reiki. She put her finger right on an issue that many of us face as Reiki practitioners when an animal we’re working with makes their transition. She has been Level 1 Reiki for a couple of years and was attuned to Reiki 2 a few months ago. Her Reiki 2 attunement was a big step for her in that her energy level went up considerably and she had a number of very positive experiences shortly thereafter. I’m sure many Reiki practitioners have experienced the high that comes with flowing increased amounts of energy and seeing positive results from it. It’s a wonderful feeling to know that you had a part in the healing of an animal’s physical condition. The trap, of course, is beginning to think that it’s something we have control of and that every encounter will turn out as we wish it to. So, it was inevitable that she would have an experience like this where things didn’t turn out quite as she’d have wished them to. I had explained to her during her Reiki 2 training that we can only offer Reiki to the animals. It’s up to them what they do with it. Animals have their own paths through this life just as we do and we have to honor that. That means trusting Reiki to assist them on whatever level is right for them, whether that results in a physical healing or not. This particular dog was diabetic and had “crashed” earlier in the week due to a drop in her blood sugar. She was taken to the vet and seemed to recover nicely. I saw her two days later and had a lovely Reiki session with her. Two days later, she went into cardiac arrest at the vet and was not able to be revived. No one saw it coming, so it was all the more surprising. I explained to my student that even though she was not conscious of it at the time, she is Reiki and the dog took from her what she needed. At this stage, it’s not as though she turns her Reiki on or off so that she’s either flowing it or not. While she can consciously cause Reiki to flow, it’s not necessary as it will flow to any being on her vibrational wavelength who wants it. We all want our offer of Reiki to result in a positive outcome for the recipient. We wouldn’t be involved with Reiki if we didn’t. What’s important is to trust Reiki to provide healing on whatever level is needed, even if we can’t perceive it with our physical senses. We also need to trust the animals to know their path and to appreciate that we were called to participate in that path for however brief a time. The Shelter Animal Reiki Association (SARA) has just announced its new blog. The SARA blog will feature articles and stories from Reiki practitioners working with animals and staff in shelters, preserves and refuges. SARA is a not-for-profit organization dedicated to bringing Reiki to shelter animals through visiting practitioners and training of shelter staff and volunteers. SARA members may be practitioners or teachers of Reiki. Kathleen Prasad, co-founder of SARA and co-author of “Animal Reiki”, has a vision for SARA which includes standardized training for shelter personnel and standards for practitioners offering Reiki to the animals. I understand that all animals have physical, emotional and spiritual aspects, to which Reiki can bring profound healing responses. I believe that bringing Reiki to the human/animal relationship is transformational to humanity’s view of the animal kingdom. Before the treatment, share information about my healing philosophy, the Reiki healing system and what to expect in a typical treatment, as well as possible outcomes, including the possibility of healing reactions. with the support and advice of a trusted veterinarian. I always ask permission of the animal before beginning, and respect his decision to accept or refuse any treatment. You may copy this information in its entirety for use on your website or in professional and/or teaching materials as long as this copyright notice remains intact. A wonderful resource for animal Reiki practitioners is the Animal Reiki Source Yahoo group. 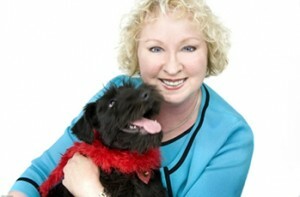 This group was founded by Kathleen Prasad, co-author of “Animal Reiki”. The group is intended to support the practice of Reiki with animals and to be a healing circle offering Reiki to animals and their owners as needed. Reiki practitioners of all levels and lineages are welcome as well as those interested in learning about animal Reiki. Some group members have active Reiki practices and share advice on how to start a Reiki practice. Others share their experiences volunteering Reiki at animal shelters and preserves. Still others simply offer Reiki to requests as they are made. Anyone may request Reiki for animals in need. Requests may be made for any situation that involves an animal. There are many wonderful stories of healings and happy endings in the group message archives along with photos of animals. I will be teaching an Animal Reiki class at Animals In Distress next week. Because of the busy schedules of the volunteers and staff at AID, the class will run over two evenings. I’ve used this format before and it’s worked out well. I typically give the attunements the first night and the basics of Reiki Level 1. The second night is for questions and practice on suitable and willing animals. This will be a larger class than usual, which is great. My first class at AID was 6 people, four of whom are still at AID. Two of the participants this time will be repeaters from the first class, but will be attuned to Reiki Level 2. I will have a separate session with them to explain the symbols and other things pertinent to Level 2. I give each of my Animal Reiki students a copy of “Animal Reiki” by Elizabeth Fulton and Kathleen Prasad. I studied Animal Reiki with Kathleen and began volunteering at AID as part of my “homework” for that course. “Animal Reiki” is such a wonderful book and explains exactly how offering Reiki to animals is different from human Reiki. I’m looking forward to the class and introducing another group of animal lovers to Animal Reiki. The Shelter Animal Reiki Association (SARA) is intended to bring Reiki to animals in shelters and their volunteers and staff. SARA is the brainchild of Kathleen Prasad, co-author of “Animal Reiki” and founder of Animal Reiki Source. SARA members work with shelter staff to provide Reiki for the resident animals. In some cases, appropriately trained SARA members train the staff and volunteers to become Reiki practitioners. Shelters may partner with SARA in logging Reiki sessions and observing effects on the animals involved in those sessions. This information is compiled into a database and used to document the effects of Reiki in the shelter environment. Reiki is an energy balancing technique rediscovered by a Japanese monk, Mikao Usui, in the 1920’s. It is gentle and non-invasive yet very powerful. The word “Reiki” is formed from two Japanese words: Rei and Ki. Loosely translated, Reiki means “Universal Life Energy”. Reiki heals on all levels of being: physical, emotional, and spiritual. It is important to understand that “healing” in the Western sense of the word implies a physical cure while the spiritual meaning is much broader. Healing can take place on any or all levels. Reiki always heals even if it does not “cure” the physical body. Why Is Reiki Good For Animals? The degree to which Reiki works is entirely in the control of the recipient, which is what makes it ideal for use with animals. The Reiki practitioner simply channels the energy for the recipient’s highest good. They are free to accept the energy at their own pace and in their own time. Most accept it readily once they know they can trust the practitioner. Animals are quite sensitive to the energy and will make it known when they have had enough. Some animals like their Reiki in small doses while others are “Reiki sponges”, soaking up as much energy as the practitioner is willing to channel! Another aspect of Reiki that makes it excellent for animals is that Reiki can be channeled from a distance. It is not necessary to lay hands upon the animal in order for them to receive Reiki. In the case of nervous or aggressive animals, this protects the practitioner, as well. Reiki can be sent over distances of a few feet or many miles as well as hands-on. Either method is equally effective. Reiki can be learned by anyone. It is easy to channel Reiki energy. The most difficult aspect of Reiki practice is “getting out of the way”, so to speak. Ideally, the Reiki practitioner is an open channel for the energy. Many people have a hard time grasping the concept that they don’t need to “do something”, but just let the energy flow through them to the recipient. The recipient will draw as much or as little energy as they desire. The Reiki practitioner cannot “zap” someone with energy they don’t wish to receive. It is truly non-invasive in every sense of the term. It is polite to ask the recipient, especially animals, if they wish to receive Reiki. Reiki is always offered, as opposed to sent to the recipient. Unlike some other forms of energy healing the Reiki practitioner does not feel drained after a treatment. On the contrary, the Reiki energy flowing through the practitioner’s channel has the side benefit of healing the practitioner as well as the recipient.